Hidden Kafka Works Surface Read more. Sometimes pranks go too far. That was the case with last weekend’s kidnapping of two Air Force mascots. Army cadets snatched two falcons, including 22-year-old Aurora, just before the annual football game between the two rivals. Thankfully, Aurora—though injured—is back home and showing signs of improvement. “Unless you are federally licensed, you can’t even touch them,” says Sam Dollar, Air Force’s falconry team adviser. He says cadets who work with the birds spend two months in training and undergo testing before they can handle them. 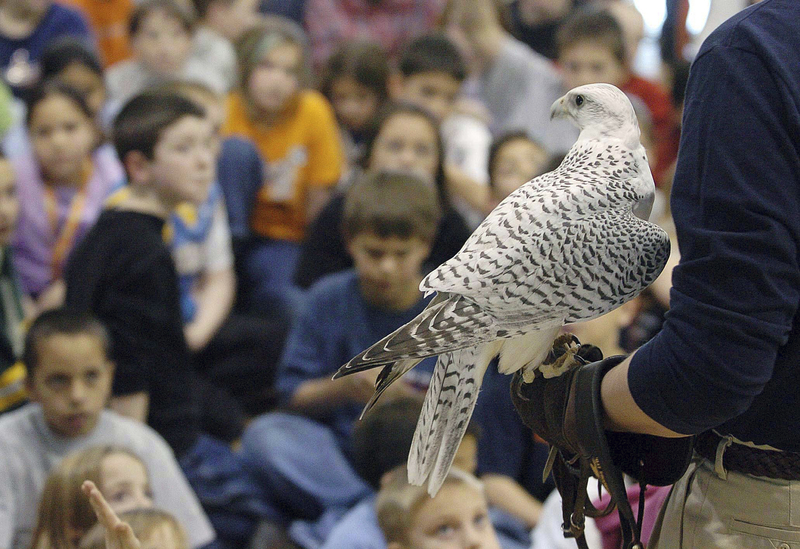 Army officials at West Point have apologized for the injuries to the falcon and promise a full investigation. “We are taking this situation very seriously, and this occurrence does not reflect the Army or USMA [U.S. Military Academy] core values of dignity and respect,” the academy says. Dollar says two West Point cadets took the two birds, threw sweaters over them, and stuffed them into dog crates. When cadets turned the birds over Saturday, Aurora’s wings were bloody—likely from thrashing inside the crate. “I think they had them for a couple hours, and then they realized it was a bad mistake,” Dollar says. Measles cases in the United States could be on pace to set a record. After the Fire: Can France Rebuild? Firefighters declare success in putting out the blaze at Notre Dame. Paris' famed Notre Dame Cathedral caught fire on Monday. The world’s first confirmed black hole has a new name. Sudan’s military ousts President Omar al-Bashir, ending 30 years in power. Sorry you are not allowed to publish comments. If this is the first time you are seeing this message please log out and back in. If you continue to see this message and believe this to be in error please reach out to member services. What was going through the cadets heads? How did they think they could benefit from this? well that was a stupid prank! Next time, those army cadets should probably think before they act!!!! Why would people hurt a falcon they are an endangered species!?!?!? How is kidnapping (or bird-napping) a prank! Those cadets should be kicked out of the school! there is an extreme rivalry with Air Force and Army. glad the falcon is showing a steady comeback. That falcon looks so regal, although I like the Perigrine falcon, too. Poor birds, especially the 22 year old. how long are birds supposed to live?!?! Let me be honest, the first thing I thought when I read this was oooohhhh smack! They are going to be in trouble! But that poor bird! I am glad it’s getting better! Did they cech the cadets? And how did they find Aurora? I'm glad the falcons are ok.
its really silly to do that as a prank its not funny!!! They should try something smarter and funny!!! That's a stupid prank. I am so glad Aurora is getting better! She is one of the prettiest birds that I have ever seen! Explain-IT trains you to understand the how’s and why’s of man-made inventions and ideas. Pop! SMART provides tools that equip teenagers with the kinds of insights they need to wisely navigate today’s popular culture in a way that’s fun and engaging. Everyone daydreams, and as it should be. Good dreams aside, our culture is a natural enemy of serenity and hope. God has equipped you for great things. True stories are incredibly powerful. They bring meaning to our lives—communicating the truths we can’t afford to live without. Mud Room helps you relate to the news by exploring the details behind the stories in the headlines that relate to earth sciences. Globe Trek will take you from the living room sofa to the mountains of Uzbekistan and from the screen of their smart phone to a Chilean plantation. ka-Ching! takes a look at important principles of money and economics through relatable examples from everyday life. Law ‘N Order captures your imagination through civics, focusing on the idea that everyone can make a difference in life. WORLDteen provides reliable stories designed to strengthen your faith in a witty voice of clarity and wisdom you’ll find entertaining and useful. This site will cover a number of important topics, from science to technology and friendships to culture, including movies, music and books. © 2018 WORLD News Group. All rights reserved.